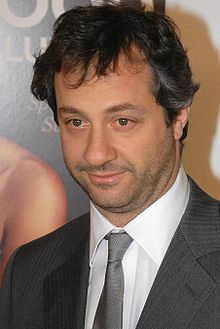 Judd Apatow (born December 6, 1967) is an American movie producer, director, and screenwriter. He is best known for producing a distinct series of critically and commercially successful comedy movies, including Anchorman (2004), The 40-Year-Old Virgin (2005), Talladega Nights (2006), Knocked Up, Superbad (both 2007), Forgetting Sarah Marshall, Step Brothers and Pineapple Express (all 2008). ↑ "Judd Apatow Biography". TV Guide. Retrieved 10 January 2013. This page was last changed on 17 February 2015, at 05:30.